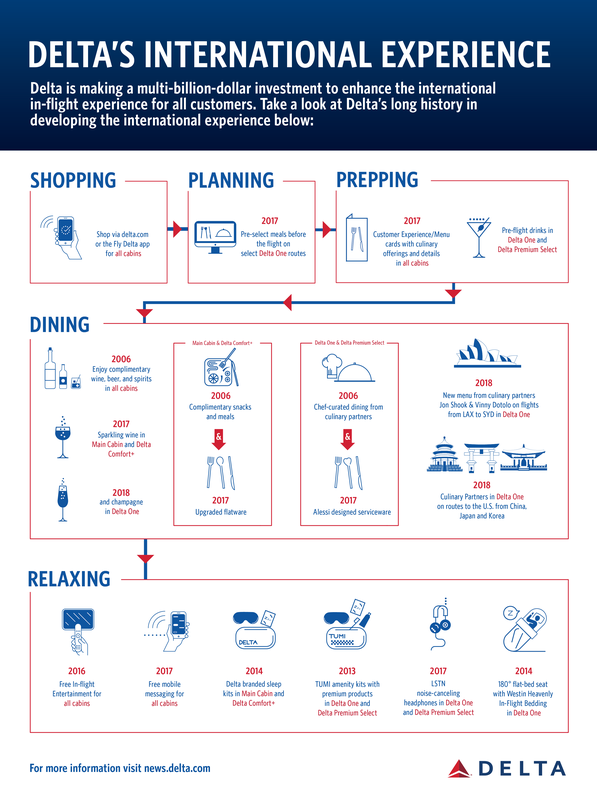 Delta is pushing in-flight culinary experiences to new heights with an overhaul of its Main Cabin and Delta One international offerings, starting today. "We're reinventing the onboard dining experience for every customer in the cabin," said Lisa Bauer, Delta's Vice President — On-Board Services. "Our investment in more robust and thoughtful meal options builds on the significant investments we've made over the past few months in things like upgraded cutlery and menu cards that help customers plan their time onboard — all of this together is designed to offer an on-board service that reflects what our customers come to expect at their favorite restaurants." The Delta One inter​national menu expansion follows the recent announcement that Delta travelers out of Asia will dine on regionally sourced cuisine. Beginning March 1, regionally inspired meals designed by Delta's new, exclusive culinary consulting partners and chefs Jereme Leung and Norio Ueno will launch and pay respect to their Chinese and Japanese cultures so intimately steeped in food traditions. Starting this summer, Delta will also be partnering with Korean chef Woo-Joong Kwon to create regionally inspired meals for customers in flight. 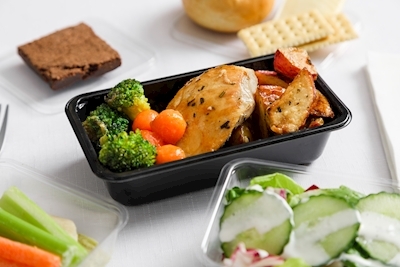 "We know that a number of variables combine to make a superior in-flight dining experience," Bauer said. 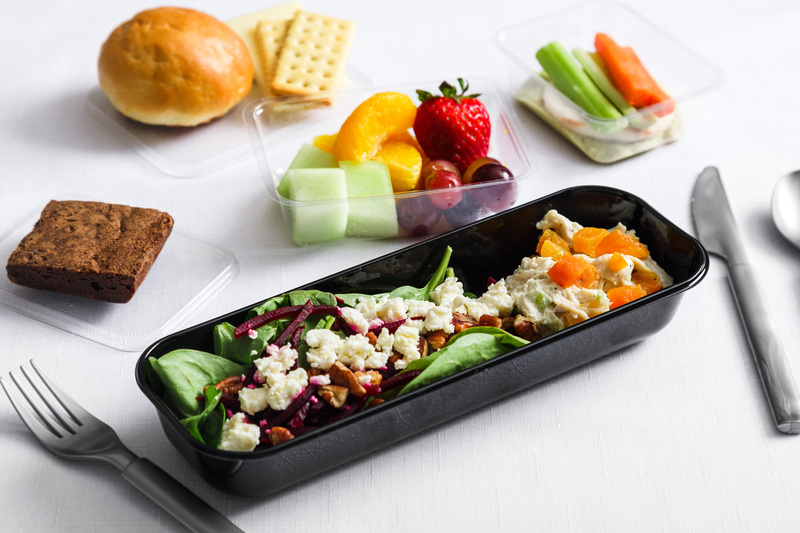 "From fresh, seasonal ingredients, to better serviceware, to the option to pre-order, Delta's in-flight culinary offerings continue to evolve and expand to ensure our customers receive a distinctive, memorable experience at 30,000 feet." These latest culinary enhancements are part of Delta's multi-billion dollar investment in the overall customer experience. In the past several years, the airline has made significant enhancements to the Main Cabin experience including free Main Cabin meals on select coast-to-coast routes, free mobile messaging, free in-flight entertainment, upgraded Main Cabin snacks, the addition of sparkling wine, access to Wi-Fi on nearly all flights, enhanced blankets and refreshed Flight Fuel food-for-purchase options. Recent upgrades to the Delta One in-flight experience include not only the launch of the cabin's newest menus, curated by Jon Shook and Vinny Dotolo, but also, TUMI amenity kits with Kiehl's products, an Alessi-designed collection of serviceware, Westin Heavenly® In-Flight Bedding, and Delta's new noise-canceling LSTN headphones.